Go beyond the broadcast and join the American Masters community in person! Whether it’s a theatrical screening or a gallery show, your favorite documentaries can come to life right in your neighborhood. 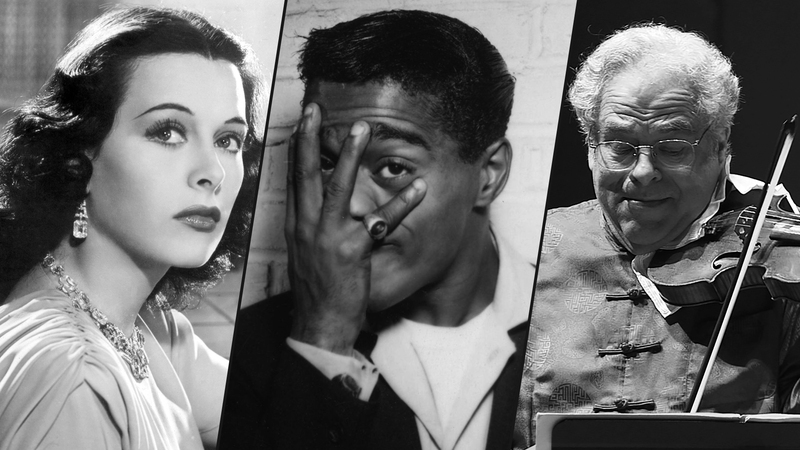 From Bombshell: The Hedy Lamarr Story to Sammy Davis Jr.: I’ve Gotta be Me to Itzhak , here are a few upcoming opportunities to join the conversation in August. We’ve even included a few screenings from our Artists Flight series, four documentaries that explore the lives of iconic visual artists Eva Hesse, Elizabeth Murray, Andrew Wyeth and Jean-Michel Basquiat.